Asian shares were subdued on Wednesday after U.S. President Donald Trump's State of the Union speech failed to give markets fresh trading catalysts, while the Australian dollar slumped after the central bank opened the door to a possible rate cut. MSCI's broadest index of Asia-Pacific shares outside Japan barely moved with China and several other markets in the region still closed for the Lunar New Year holiday. 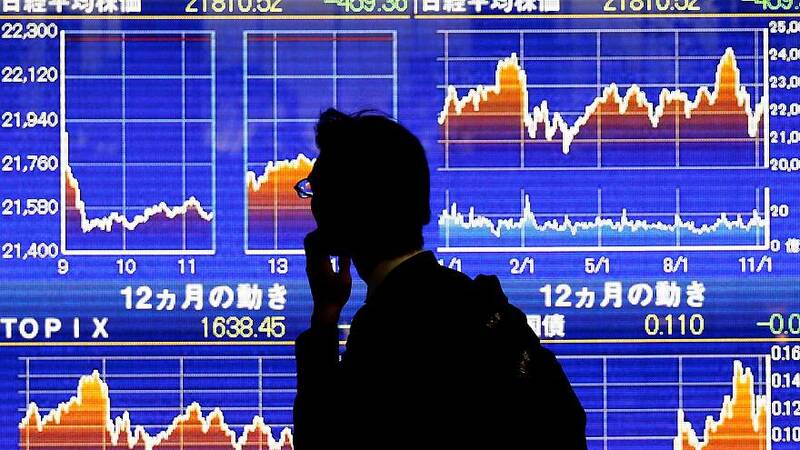 Japan's Nikkei gained 0.3, while E-Mini futures for the S&P 500 edged higher. Australian shares advanced half a percent, rising for a third session. "Over the past year, the next-move-is-up scenarios were more likely than the next-move-is-down scenarios. Today, the probabilities appear to be more evenly balanced," he said in a speech in Sydney. "I think he (Lowe) has opened the door to a degree. A lot of people in the market do see the fragility that's coming through in quite a lot of parts of the Australian economy," he said. Trump vowed in his State of the Union speech on Tuesday to build a border wall that is a source of a deep partisan divide and said Democratic attempts at "ridiculous partisan investigations" could damage U.S. prosperity. "The market had much more hopes that he would come up with something more concrete. We didn't really get it," Twidale said. "We got a lot of positive rhetoric -- a lot of backslapping, or self-backslapping if you like. Because of that, we just had a really subdued reaction." Against a basket of currencies, the dollar was firm at 96.104 and well above last week's low of 95.162. It fell 0.1 percent on the yen to 109.84.